A ceramics centre, located at Valentine Clays headquarters, focusing on a new visitor experience that promotes the importance of clay to the ceramics industry and Stoke-on-Trent. 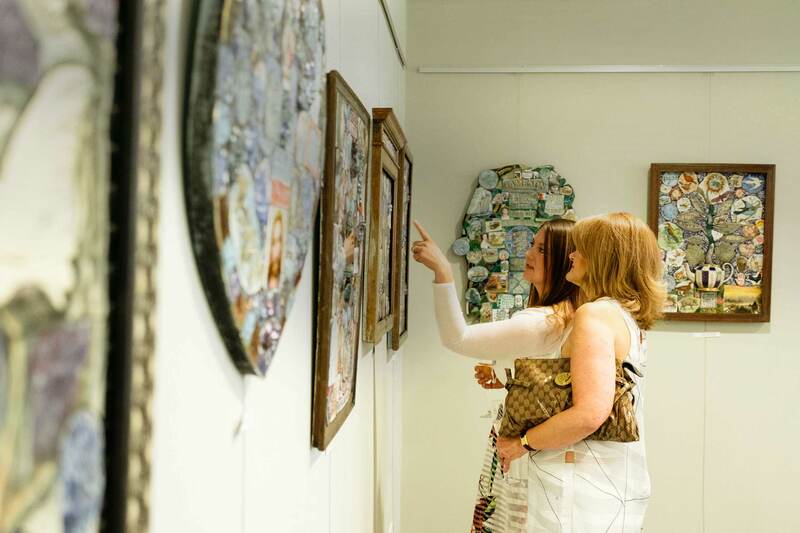 The new facility based in the heart of The Potteries comprises of a contemporary gallery, exhibition space, workshops and events. This course which will be run by experienced Potter Jon French is an opportunity to have a one to one experience for those who would love to learn how to throw with clay. A 6 week ceramic painting course with Jon French aimed at helping your to develop your painting skills in particular on china bisque ware and on glaze. Ideal for a beginner or someone with a little more experience. The Children’s Ceramic Course is aimed at those aged between 6 – 14 years old and is an introduction into the wonderful world of clay. The 5 week course will ensure that each child gets to make and learn how to create different types of ceramic items from pinch pots to throwing their very own pot. Each week they will be able to choose their favourite item which will be fired ready for decorating during week 5. 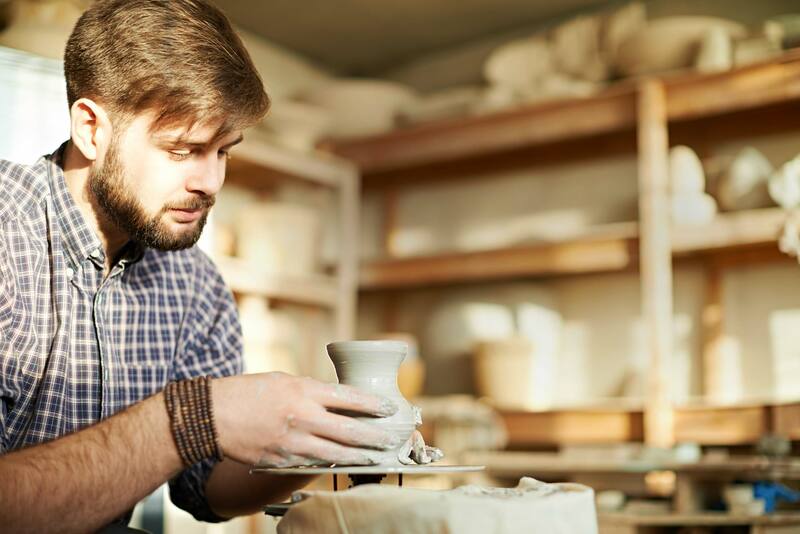 Whichever clay discipline you wish to develop and learn Nick will be on hand to help you to progress within this area whether you would like experience in throwing, slabbing, texturing, decorating or firing. 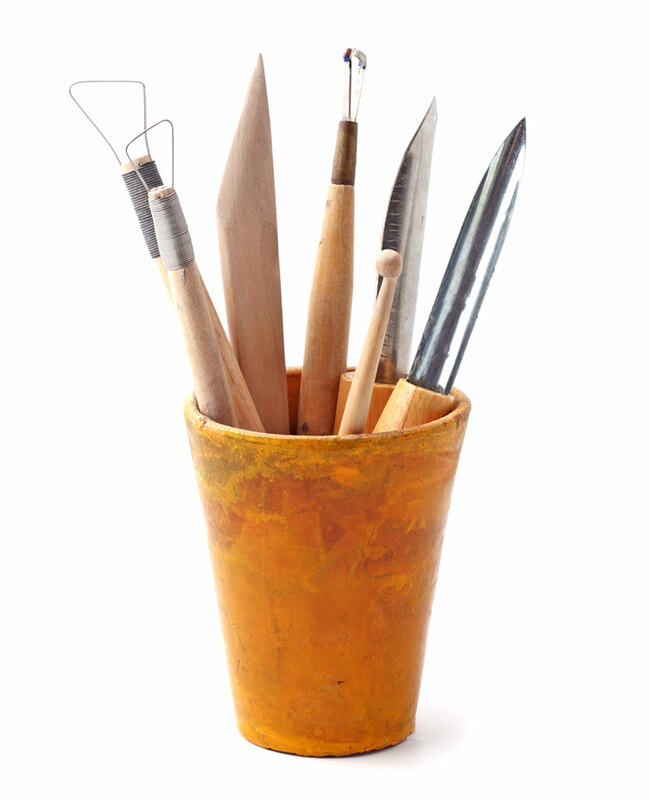 This evening ceramics course is aimed at those beginners or those with a little bit of experience. The course will take place on Wednesday evenings at the LoveClay workshop facility at Valentine Clays HQ in Fenton. Looking for a Valentine’s Day evening with a difference? 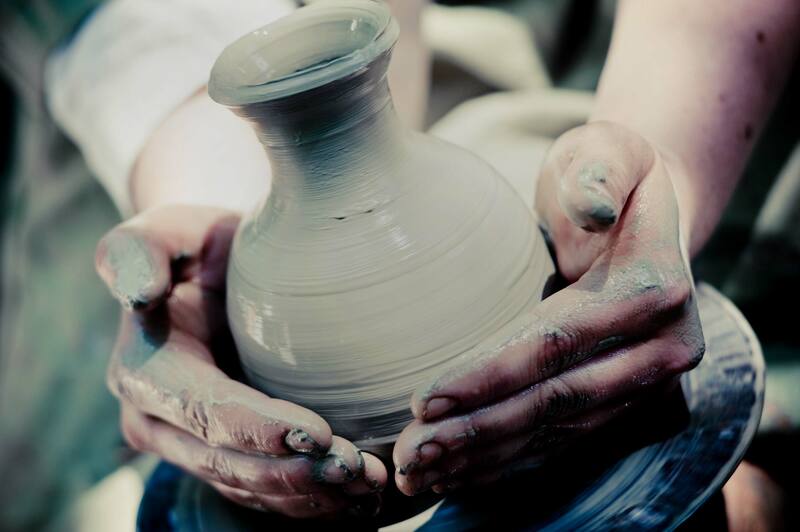 Come along with your loved one and have a bit of fun with teacher Jon French who will guide you through four-handed throwing to help you to create your very own couples pot. Enjoy champagne, canapes, chocolates and mood music while you celebrate Valentine’s Day in a way you’ll both be sure to remember! To celebrate February and to continue with our fairy theme come along and paint your very own fairy, there might even be a visit from the Mischievious Fairy Glacier Love too. During this workshop children will have an opportunity to decorate their very own fairy which will then be fired and glazed, ready to collect at a later date. Adults can get involved too and are welcome to help little ones create their very own masterpiece. To celebrate February and to continue with our fairy theme we have an opportunity for adults to come along to our fairy themed workshop and create their very own ceramic fairy home and garden. A Ladies Evening with a difference enjoy gin, chocolate and throwing all in one fabulous evening.This ladies evening is all focused on local and proud as LoveClay teams up with some award winning local companies Nelsons Gin & Seed Chocolate. Enjoy a gin themed cocktail and nibbles on arrival before indulging in three very different type of sessions aimed at creating a fun night out with your friends which will certainly be one to remember. The perfect way to spoil any Mum this Mother’s Day with an afternoon spent learning to make Bone China Flowers and indulging in an afternoon tea treat. Bone China Flower making is a skill that is synonymous with the Stoke-on-Trent area and the ceramics industry. Rita Floyd, who has over 30 years’ experience, will help you to create your very own flowers using our very own flower clay which will then be fired as a special memento for any Mum to keep. We are excited to announce our first ever HomeEd Creative Clay Sessions that are aimed at families and children that are home schooled. On Tuesday 29th January we would like to invite home schooled families to the LoveClay workshop to have a go with clay and to give feedback on the type of clay sessions their children would most like to participate in, this will then enable us to tailor a monthly clay programme to suite their needs. Our monthly Clay Creation Sessions are ideal for entertaining little ones and are a great way for Mum and/Or Dad to get creative. Children and parents will learn to make things using clay as well as a great social opportunity to chat to other parents. This course has been designed as a family experience and is aimed at both adults and children having fun together learning how to throw a pot. Kevin Millward’s Exhibition: Black and Lights explores surface teaxtures, translucent opacity, the manipulation by hand and tool of plastic and none plastic clays at the opposite ends of the spectrum. An exhibition of bowl forms and lighting. Make the perfect ceramic gift this Mother’s Day. Our morning workshop session will teach you how to create your very own Porcelain vase that can then be presented as a gift or kept for yourself. Make the perfect ceramic gift this Mother’s Day. Our afternoon workshop session will teach you how to create your very own Porcelain jewellery that can then be presented as a gift or kept for yourself. Looking to create an event with a unique difference? 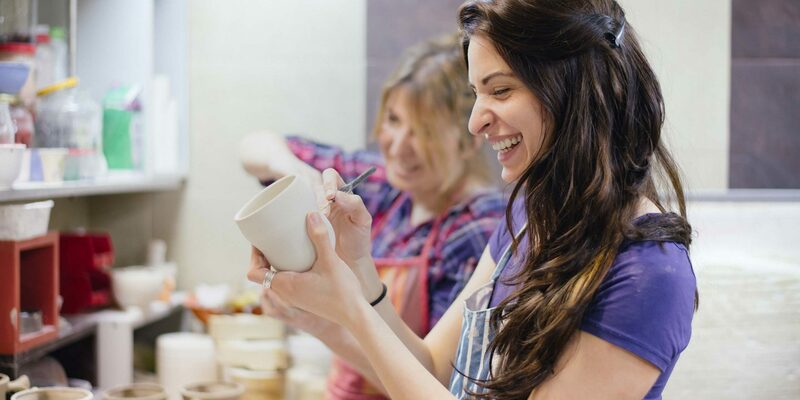 We can help you develop your very own unique ceramic experience whether you are looking to host a Baby Shower, Hen Party, Birthday Party, Team Building or Social Group Event.